﻿ Kendziorra - Arduino NodeMCU v2 ESP8266-12E Shield - BOOST up your Arduino! 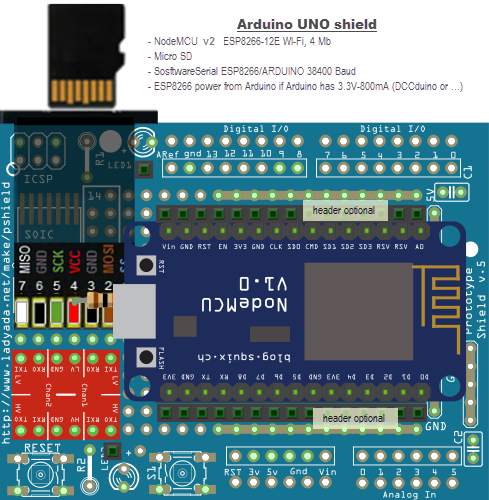 Arduino NodeMCU v2 ESP8266-12E Shield - BOOST up your Arduino! 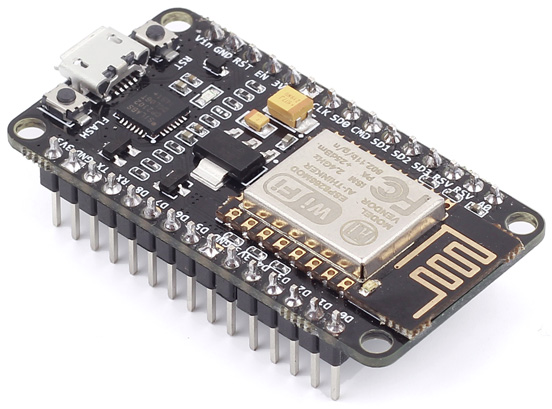 Boost up your Arduino with this cheap ESP8266-12E Shield. 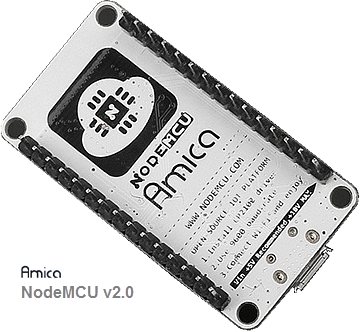 Use the 32 bit RISC CPU with 4 Mb memory, WiFi STA and/or AP, 2-32 GB micro SD card, 7 free GPIO and 1 Analog ports, 2 LEDs and 1 button. 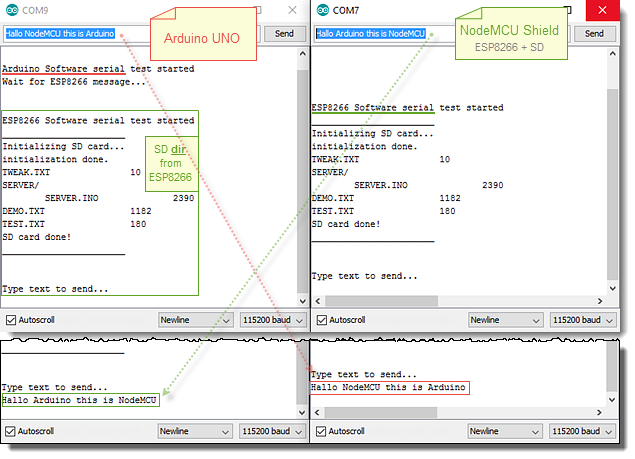 Then you can use your Arduino for important things like reading sensors, controlling stepper motors, ... .
Total unhindered to use for firmware flash and the debug monitors. No fiddling with jumpers and buttons. 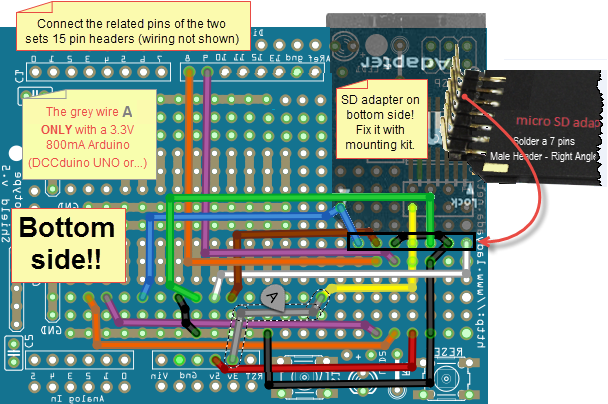 Using a 5V Arduino? 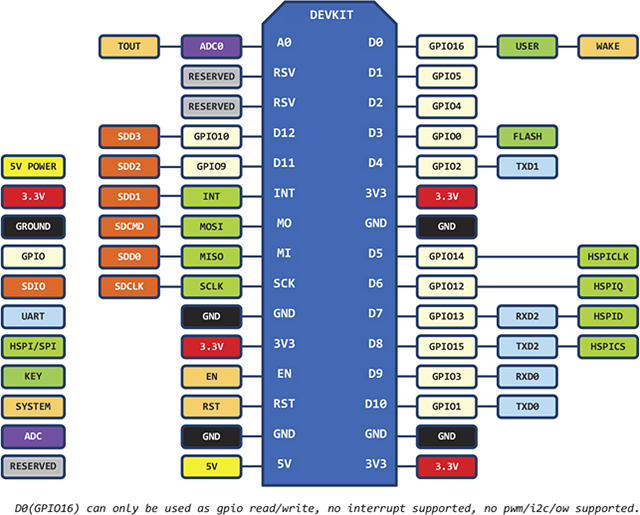 Use a 3.3V↔5V (Bi-Directional) 'Level Converter' to save your ESP8266. Use a 10 kΩ pull-up resistor on te SS (Chip Select) line. Simple and useful (see the sample pages below). Stripped and modified for using with the SD adapter on this Shield. It's smaller than the Arduino SD library. 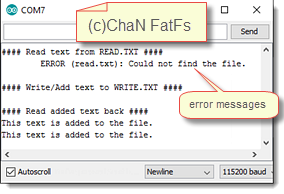 8.946 bytes of program storage space (<1%). 820 bytes of dynamic memory (~1%). mount - Register/Unregister a work area. 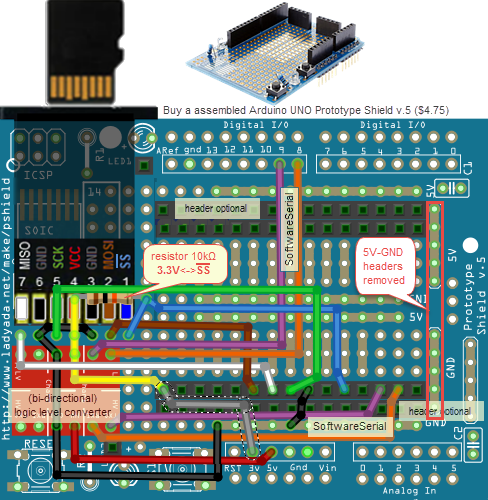 Demo sketches with Serial and Arduino SD library on the next two pages.